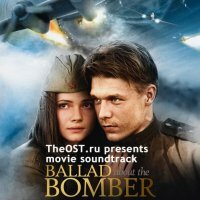 The Bomber (2011) / (Russian language title: Ballada o Bombere) Storyline During World War II, a soviet aircraft crashes on Nazi-occupied territory. But the pilot Grivtsov and his beloved radio operator Katya miraculously survive. Another survivor is flight navigator Linko, who ejected from the plane. Each of them has to find his way and perform military tasks, return to his own forces and simply to stay alive. The situation becomes more complicated because of an act of sabotage, which has been committed before their take-off at the aerodrome. Honest Grivtsov gets on the bad side of the colonel of SMERSH by defending his friends. Instead of being granted a medal "Star" for his 100th flight, he is pronounced a traitor and is to be executed. New feature: Album was added by mosksergej. Now everyone can add album!